I had never considered using dulce de leche in thumbprint cookies before, even though they area bout my favorite variety of cookie ever. Ya, I think they're even better than the ever-popular chocolate chip. All my life dulce de leche has been accompaniment for frozen treats and brunch with waffles. Thanks for the new ideas! the Dulce De Leche cookies are definately picture perfect! the thumbprint cookies look fantastic and quite doable for me too..had made them once , but slightly different..
those cookie moulds look awesome..Hope I win them..I have seen those pineapple jam tarts in bakery shops in singapore..they look wonderful..
i am drooling over those cookies!! the molds look like a great gift Hope they come with a recipe too!! These dulce de leche cookies look fabulous! My husband will love them! I wish I am the lucky one! 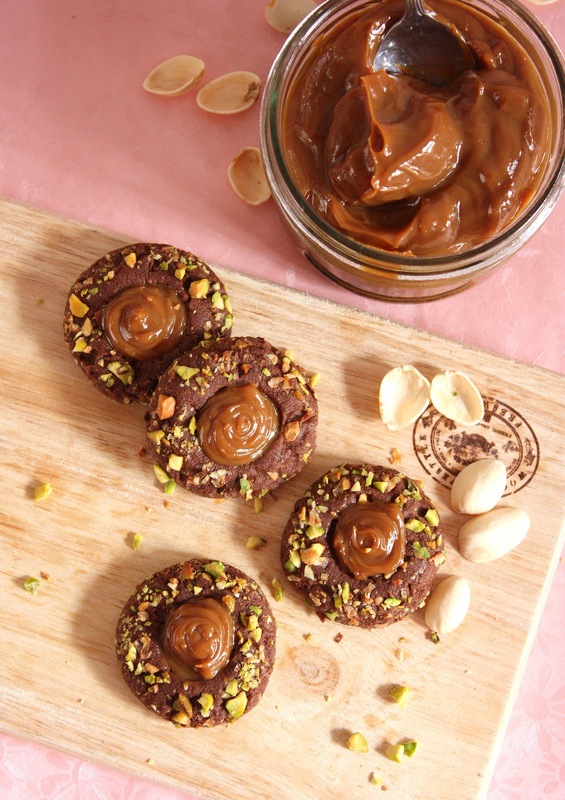 Love how you've totally spiced up a nondescript chocolate shortbread cookie! Wow they are so sinful looking! Totally worth the extra mile on the treadmill! Oh.... These cookies look great with DDL, but too bad, only fill just before eating. I'll be too lazy to do that everytime I want to bite on one. Hi everyone. Its great to see you all! as always. I need those for the yearly pineapple tarts. Just started making them this year! OMG theese cookies looks so delicious!!! I use dulce de lecce in my chocolate tarts, but I'n try soon in your cookies recipe... Have a nice weekend! Oh my goodness! What have you done? Tempting my palate again. How i love shortbread and to top it - chocolate shortbread and yummy dulce de leche! Zurin, I wish I was living next door! wow wow questo biscotti sono meravigliosi! !ho segnato la ricetta spero di riuscire a farli belli e perfetti come i tuoi!! As a good follower of your blog, I did know that those are for pineapple tarts, but you're right, they'd be good for lots of things. The box is all cuteness. I love your use of the dulce de leche in the cookie - ingenious! I first had dulce de leche at a local restaurant served with a little Amaretto poured over it. Incredible!!!! This recipe would be just as good. Please count me in for your giveaway. Love the molds. Your pics are simply lovely! Talk about melt in your mouth!! Oh, I love your good moods! I really like the pistachio + dulce de leche combination!!! 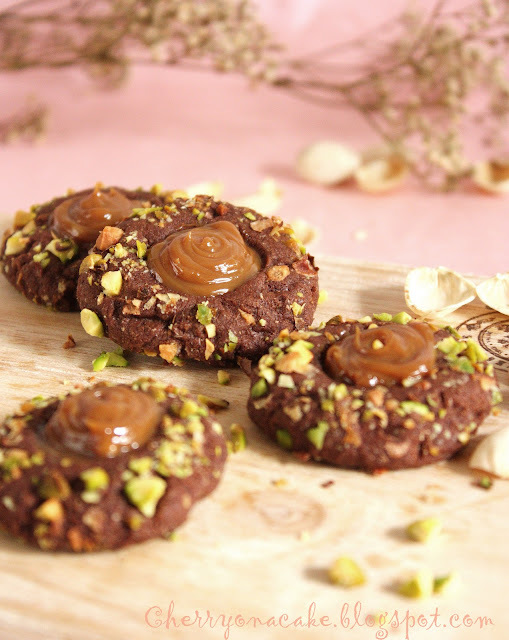 and it's a very original thumbprint cookie, not your typical sort of boring jam one! Dulce de leche as a cookie filling -- ingenious and delicious. Oh, and cookie presses -- ingenious and potentially delicious! Wow Zurin, you are killing me, look at these delicious little darlings before go to sleep, I will dream about them. Dulce de leche is my most favorite thing in the world. And now with cookies. Yummmmm! Your photos of the cookies look seriously wonderful though. Wow! What a scrumptious recipe - can't wait to try it out. The presses look beautiful...maybe I'll get lucky!! That dulce de leche looks stunning! I can't wait to try these cookies. I always wanted to try making cookies with a cookie press too. It's a win win :) hopefully!! Beautifully delicious looking thumbprint cookies, very unique! Your photos are wonderful, I know I would have trouble eating only one of these! 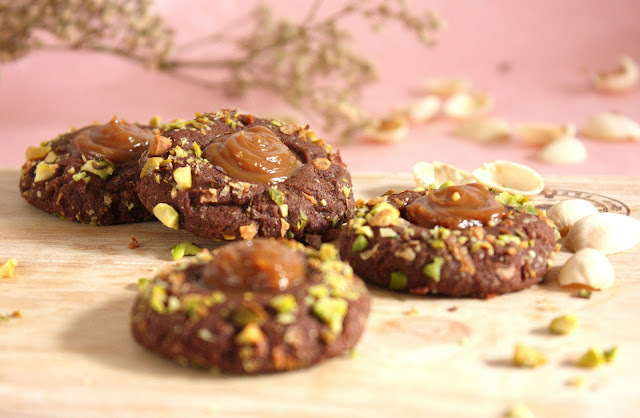 I have read about dulce de leche but too afraid to attempt to make it but after reading your post on this chocolate thumbprint cookies, I am going to make it. The tart presses are so cute! Love the cookies. And those little presses look like a perfect gift to any foodie! Your cookies looked so good ! Can't wait to try some. They are such party cookies - they make you happy just to look at them. hehe I am neighbour kan kan kan? wahh what a great idea! Looks like it's time to make another can of dulce de leche! I would love to win that! I have always admired malyasian baking and I can't seem to find those type of cookie presses. Great fun,...ooh yes indeed!! Those cookie press cutters look cool & fun to play with!! 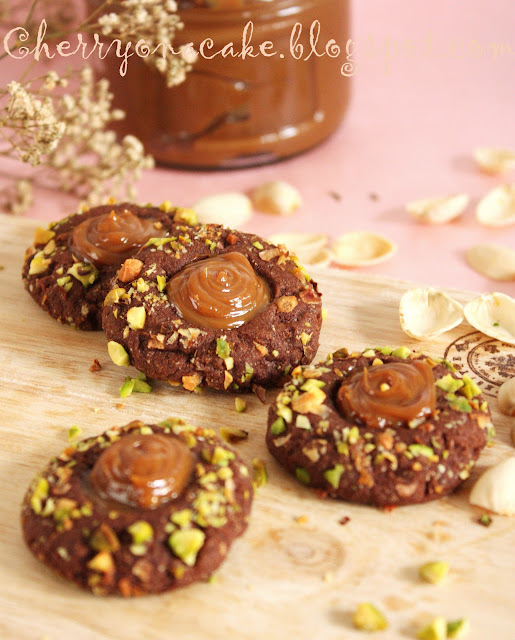 These choclately cookies filled with dulce de leche look so tasty & special too, dear zurin!! Yeah!! Yum! The presses make such cute cookies too. Oh, those look so lovely! I've yet to try making dulce de leche, but it's definitely on the list. The cookie presses would be great for using with homemade lemon curd-filled cookies as well... will have to keep my fingers crossed! I leave it to you to find the meaning. Hi again aunty, I am glad to get your comment. Its been a while. Wow! Wow! those cookies look amazing, your blog looks fabulous. The cookie press also looks really cute. I just found your blog through photograzing and love your pictures and posts. I will be back! I've thought about making dulce de leche before but always decide against it. Until now that is. Your chocolate shortbread cookies look so delicious that I'm finally going to do it. 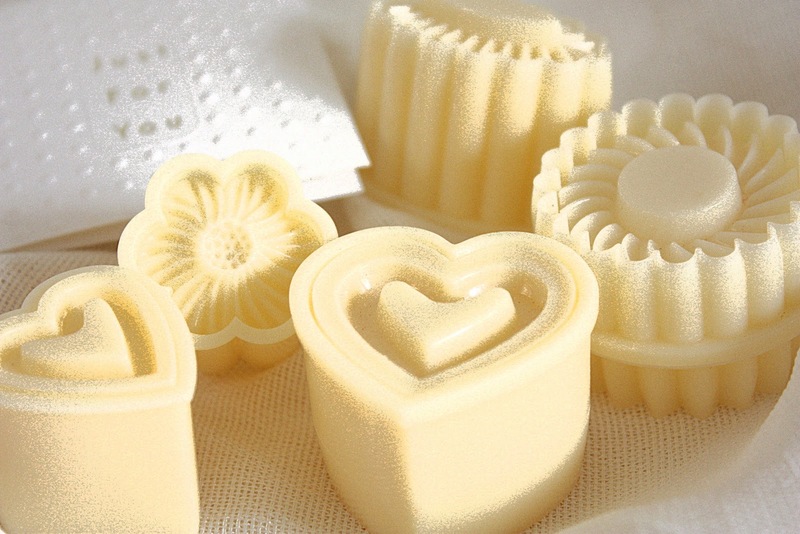 Oh my, I would love to win those little tart molds. I've looked everywhere for them with no luck. Beautiful, deliccious looking cookies and gorgeous photography! This is a great idea. Thanks for sharing it with us. I think your giveaway is something anyone would appreciate. I hope you have great success with it. Gorgeous cookies! What a great idea. Am I too late to enter the giveaway? Hope not. Thanks for the wonderful comments you leave on my blog. First off, those cookies look decadently delicious! I am now craving some warmed milk and those cookies! Second, those tart presses are adorable! I have been having a lot of tea parties, and I think I shall see about getting those so I can make some delicious tarts. Dulce de leche is on my "try to cook list" for this weekend... after quite some time of searching condensed milk in a can I finally found one. Now I need a recipe where I can use my future dulce de leche and I think I'll try this one as I just love the idea! Thanks for sharing! You inspired me to make Dulce de Leche and now I have something to do with it besides just eating gigantic spoonfuls of it! Can't wait to try them! I'm in love with those adorable presses! Especially the little seashell, but they're all so cute! Thanks for the great ideas! these are such a great idea~! and it's perfect because i happen to have leftover of both dulce de leche and pistachio from two separate baking projects~! I've never seen that type of cookie press before. They look fabulous! Oh, poop. I missed it. 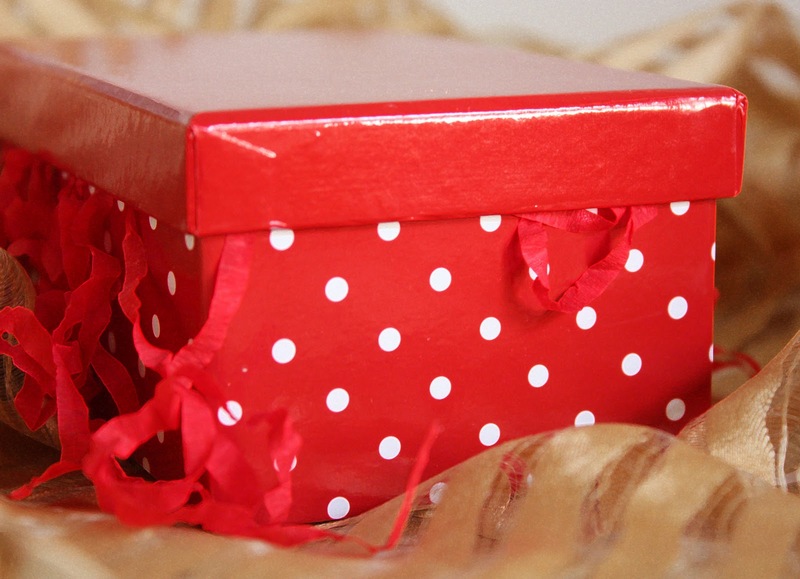 You're a doll to have this giveaway, and I'm kicking myself (hard!) for missing it. However, those cookies are now on my keeper list! 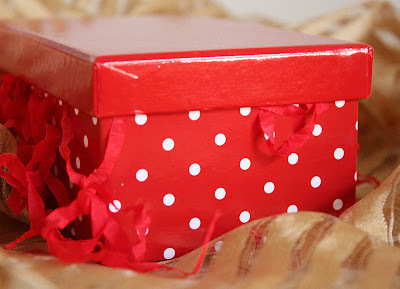 Very,very nice blog...i rely enjoy reading ,and photos,they are awesome!!!!! Fantastic recipe. I will definitely try it out. Kids will love it. Thank you! Your blog is very creative.